When FOMO3D launched there were a few vanity names that were not pushed over to the live game. This means that these vanity name links are currently not working for referrals, and you will need to follow the steps below to activate them. First, check whether your vanity link is working. If your name has a green tick next to it, it is up and running and working. 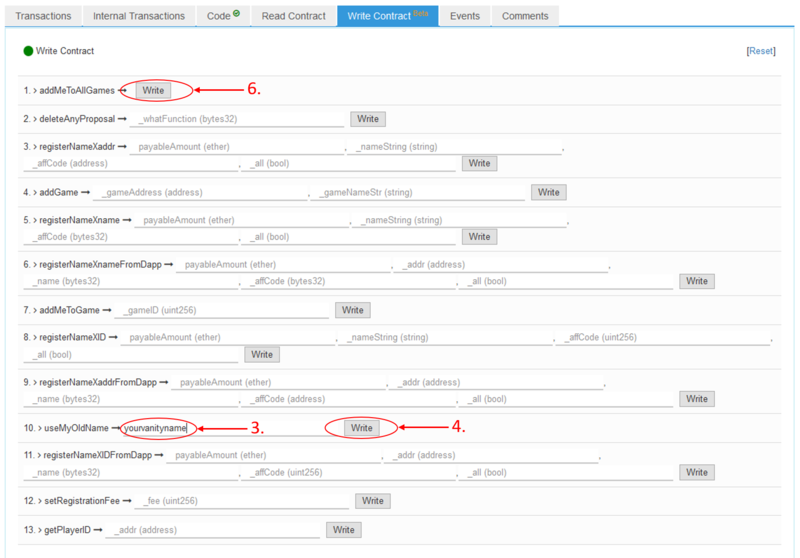 Visit https://etherscan.io/address/0xd60d353610d9a5ca478769d371b53cefaa7b6e4c#writeContract This is the player book contract that handles all your player information for the P3D/F3D ecosphere. 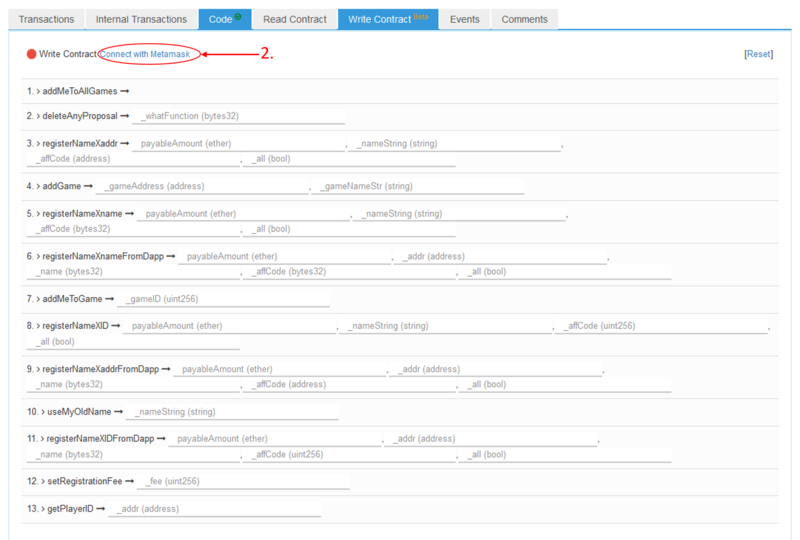 Connect Etherscan to your Metamask in order to be able to interact with the contract. Enter the vanity name you want to push to Fomo3D in the input field to the right of useMyOldName (note: only enter names that you already own!). (See second image below). Click on Write to the right of the input field. This will open Metamask with a transaction prepared to change your default name to the name entered in the input field. (See second image below). Adjust the GAS price, submit the transaction and wait for the transaction to confirm. Click on Write to the right of addMeToAllGames. Repeat starting at step 3 if you have more names that you want to push to Fomo3D. Please note: The procedure above will set the last name chosen as your default name. Execute the steps outlined above again, whenever you want to change your default name for Fomo3D.